Call them healthy, call them sweet, call them the best thing that’s ever been in a blender—no matter how you name them, smoothies are the kings of drinks in South Carolina. The smoothie is an anything-goes drink, giving you a level of versatility no other type of drink can match. Have for a meal or a snack—either way, you’ll be glad to order one from these 10 best smoothie places in South Carolina. Raw smoothies and fresh, cold-pressed juice are their specialties. They make it easy to put your health in your own hands by offering quick service, grab-and-go items, and seasonal varieties to give you no shortage of options. It’s a one-stop shop for healthy meals and snacks, and you’ll want to make it part of your daily routine. 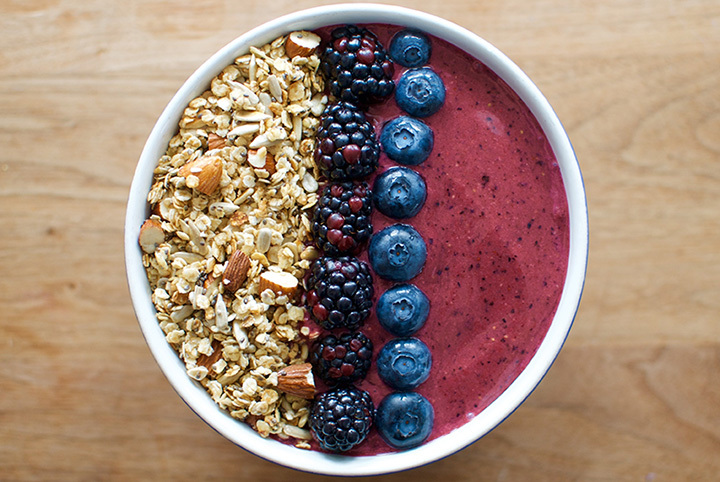 Every smoothie is made from scratch with whole, natural ingredients. There’s a healthy punch packed into every blend, including the superfood wheat grass. Their made-to-order smoothies taste so good you might have a hard time believing they’re also good for you. This health-conscious college town juice bar is helping students live better lifestyles. Every smoothie uses the freshest ingredients to make them taste as good as they look. They also offer juice cleanses and smoothie bowls to help you get as many health benefits as possible. Health and wellness never tasted so good. You’ll find exotic flavors like dragon fruit and all your regular favorites, too. Each smoothie is made to order with whole ingredients, not mixes, so you get the most health benefits with every glass. Cold-pressed juice gives you 3-5 times more minerals and vitamins than regular fresh juice, which is why that’s all you’ll find at Kuka Juice. They know how to help you get the most out of every smoothie, and how to make them taste like heaven. They truly believe a juice a day can help you achieve better health, and they can help you choose the right ones to do just that. Fans flock to Smooth for three reasons: First, they feature the best-tasting smoothies on the island. Second, their prices are low enough to fit every budget. And most importantly, the staff here knows all things juices and can help you get the most benefits out of every drop. No matter what your ailments, you’ll find a juice that can make you feel good. This one-stop shop is your source for smoothies, frozen yogurt, coffee, and espresso all under one roof. Fresh fruit is blended with protein or flaxseed in a pool of almond milk or coconut water to give you a refreshing taste that’s also good for you. Get one to go or enjoy it at their outdoor seating area—anything goes! This raw juice palace makes it easier than ever to make healthier food and drink choices. Grab a fresh smoothie from their store, or hire their mobile juice bar to appear at your next event. Their smoothies are found alongside a delicious healthy food menu and juice delivery service, giving you plenty of options in crafting healthier eating habits. This boutique juice bar was inspired by a family illness that was cured by the powers of juicing. The family now shares the benefits of juices and smoothies with others, offering them all the best ingredients that will have them banishing bad foods for good. Every smoothie is a like a meal in itself, offering only wholesomeness and delicious flavors in every slurp. Fresh, handcrafted pressed juices, fruits and vegetables go into the making of every smoothie here. They source local ingredients to make their drinks, and make every smoothie after you order it to ensure you get nothing but fine quality. Your taste buds will notice the difference.